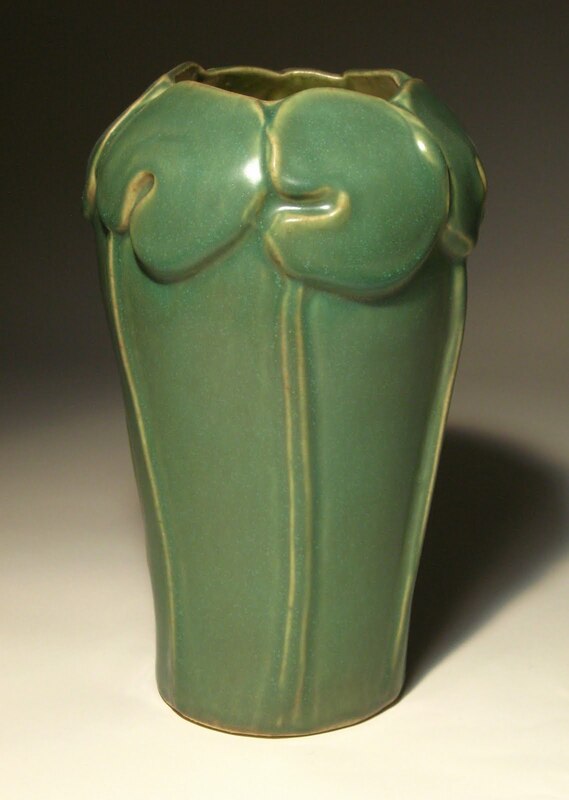 In conjunction with its 107th anniversary, Pewabic Pottery (Pewabic) is holding its annual “For the House & Garden” benefit show and sale June 4-6. During the special weekend, Pewabic will feature its newest tile and vase releases as well as the work of more than 70 ceramic artists. New this year, three metro Detroit designers will feature fireplace vignettes highlighting custom Pewabic tile. Designers include Maddalena Design, Jones-Keena & Company and Rariden Schumacher Mio & Co. All designers are based in Birmingham, Mich. The three-day event begins with the ticketed Preview Party on Thursday, June 3 from 6-9 p.m. Proceeds from the preview party will benefit Pewabic’s education and museum departments. For tickets, call Pewabic at (313) 822-0954, ext. 111. Tickets start at $75 per person. Following the Preview Party, the weekend celebration continues with a show and sale that is free and open to the public 10 a.m. – 5 p.m. Friday through Sunday. Shoppers can enjoy facility tours at 11 a.m., 1 p.m. and 3 p.m., tilemaking demonstrations, museum and gallery exhibitions and talk to Pewabic designers. Additionally, door prizes will be given away each hour. Pewabic Pottery is a non-profit arts ceramic education center, working pottery and National Historic Landmark; its mission is to engage people in learning experiences with contemporary ceramic art and artists while preserving its historic legacy. Pewabic Pottery is open to the public year round and offers classes, workshops, lectures and tours to children and adults. Pewabic continues to create giftware and architectural tile and offers galleries that showcase over 70 ceramic artists and a museum store for purchasing ceramic giftware handmade at Pewabic. Visitors are welcome, free of charge, during regular business hours Monday – Saturday from 10 a.m. – 3 p.m. and Sunday from noon to 4 p.m. To learn more about Pewabic Pottery, call (313) 822-0954 or visit www.pewabic.org. Pewabic Pottery can be found at 10125 E. Jefferson Ave. in Detroit across the street from Waterworks Park. We have a home that has 3 bathrooms covered in Pewabic Pottery tiles. I am new to Michigan and had never heard of Pewabic Pottery before. The tiles are not really my style and I was thinking of taking them out to redecorate. I saw this article and though maybe someone could provide some advise. 1. How much is a bathroom covered in Pewabic Tiles worth? 2. Can I remove them without damaging them? 3. If I was able to remove them - what do I do with them?